It’s October once again, and time for all the spectrals and spooks to come out of hiding. 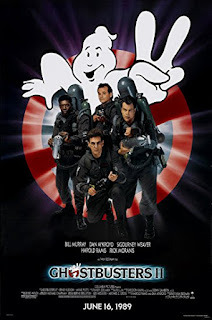 So to kick off the Halloween season this year I’m finally going to review a film that’s not a “horror” exactly, but it’s undeniably one of my all time favorite Ghost themed movies ... it’s the 1984 Sci-Fi classic “Ghost Busters”. Like this movie even needs an introduction, “Ghost Busters” defined a generation of comedy and subsequently creative ideas. All these years later people still quote the lines, reference the characters and if you grew up with this movie in the 80’s, I wouldn’t be surprised if it ranks among your personal favorite films. 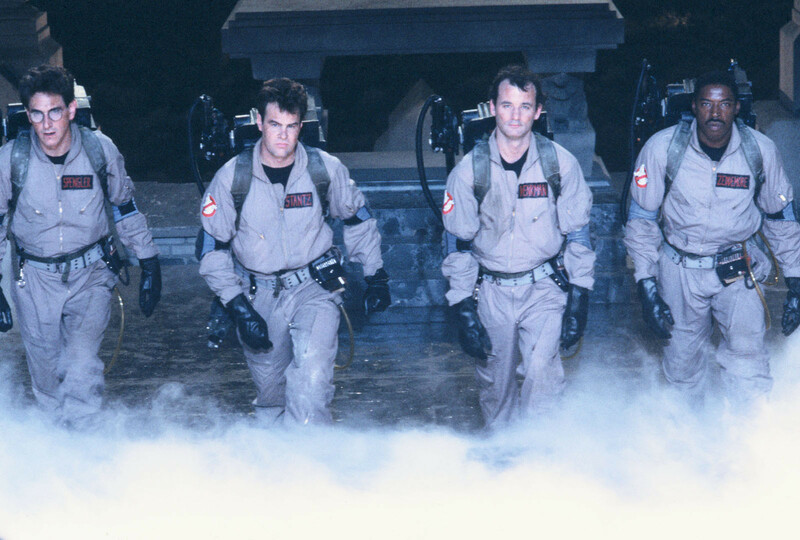 While I honestly wouldn’t call “Ghost Busters” one of my absolute favorites, I do still love it, I grew up with it as kid and it just gets better over the years. I can definitely see the appeal, why so many would hold this film to such a high standard, and I why it’s become a classic over time. I think the films biggest strength is how it can entertain both kids and adults on equal but different grounds. Kids can find the appeal in the films flashy spectacle, while the adults pay attention to the mature comedy and affectionate characters. 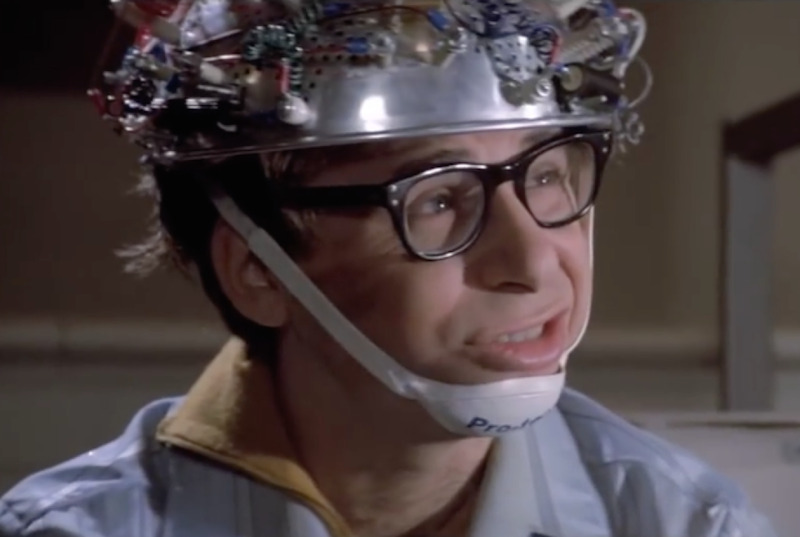 It was thanks to “Saturday Night Live” alumni Dan Aykroyd and the late Harold Ramis who came up with the films inventive premise, and along with director Ivan Reitman, all the perfect comedic talents were assembled for this project. Here’s the layout, a ragtag team of eccentric loser scientists start their own business of hunting down Ghosts that are loose and terrorizing the city of Manhattan. That in a nutshell is one of the most wildly unique concepts ever conceived on film, and a great testament to the power of something original that’s not based on any existing source material. While the concept is very simplistic, the story itself actually has several layers and some wild details. The center piece of all the paranormal activity is a large New York apartment building that houses a dark secret. When one of the apartment residents named Danna Barrett has a frightening supernatural episode, the newly assembled Ghostbusters go to her aid and take action. Soon they discover that the situation is far bigger than simply catching some wild Ghosts, as a demonic goddess named Gozer is actually using the building as a portal to enter our dimension and thus bringing about the end of the world with her arrival. In a sense “Ghost Busters” is kind of like a superhero movie, as we have a team of losers that need to step up to a challenge, they suit up to fight monsters wreaking havoc on the city, crowds of people go from ridiculing them to cheering for them, they even have a triumphant theme song, and they battle a super villain that’s threatening to end all life on the planet. I was about five or six years old when I first saw this movie, and back then I absolutely loved all the gadgets, cool visuals, awesome creatures, and the general superhero appeal, even though this wasn’t based on a comic book. As an adult I find myself loving the film even more because now I understand just how funny it is. The cast is infectiously charming, everyone has their own distinct personality, and there’s no shortage of witty one liners. I honestly think “Ghost Busters” contains some of the most quotable and funny lines I’ve ever heard. Again, for all the films spectacles and spooky fun, it’s these characters that make the movie work. I’m not even that big a fan of Bill Murray, yet his deadpan performance in the role of Dr. Venkman is absolutely hilarious, and it’s his charisma that leads the charge for this talented ensemble cast. Screen Writers Dan Aykroyd and Harold Ramis play the ladder two Ghostbusters named Ray and Egon, who are both fantastic. Ray is the overly optimistic and cheerful guy, while Egon is so lost in his science, he doesn’t know how to have a good time. There’s something instantly joyful about seeing all three of these characters together, weather their bickering or problem solving it always feels natural or improvised. Eventually a fourth Ghost Buster joins the team named Winston, who’s also played very charismatically by Ernie Hudson. He’s the cool laid back member of the team, and personally the guy I’d want to hang out with the most. The love interest Danna Barrett is also played very well by Sigourney Weaver, and while she doesn’t get to act funny like the others, she definitely works as the strait person to offset all their quirks. Sigourney Weaver dose eventually show her range of character acting as she plays both the everyday girl, as well as a supernatural entity named Zuul who serves the films main villain Gozer. Then there’s Rick Moraines who’s especially lovable as the bumbling next door neighbor named Louis Tully. It’s hard to explain but every time he’s on screen just puts a smile on my face, especially when his character is taken over by a supernatural beast it leads to some very funny moments. Then there’s a human antagonist named Walter Peck, and he’s determined to expose our hero’s as fakes. He makes for a terrific, stuck-up jerk character, and is the punch-line for my favorite quote in the whole movie. Another thing I love about this movie is that it actually creates its own mythos and builds on its supernatural universe. While little details like “Tobin's Spirit Guide” are made for laughs, it actually makes me want to explore the films set universe even more. I especially love the back-story revolving around the apartment building architect named Ivo Shandor. This character never makes an appearance, yet his story adds a fascinating dimension to the film. We learn that he created the building as a base for his secret cult to worship a rather nasty Samarian God in preparation for the end of days. This brings us to the main villain of the movie, a supernatural creature called Gozer, who takes on different forms over countless millennia. 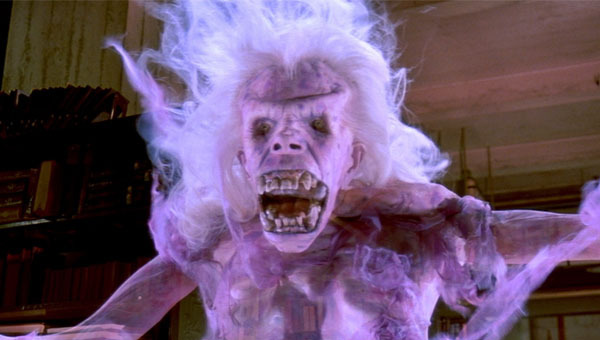 Despite being the main antagonist of the movie, Gozer doesn’t appear on screen until the end of the film and takes the form of an albino woman with blood red eyes, and can shoot lightning from her finger tips. Even though she’s not on screen for very long, Gozer always stood out to me as a memorable movie villain in her own right, and probably one of the best to come from the 80’s. On screen she’s played by Slavitza Jovan, but her voice is supplied by the late Paddi Edwards. She had a phenomenal spooky voice that always gave me chills, and she’d later use her vocal talents for the two sinister eels Flotsam and Jetsam from Disney’s “The Little Mermaid”. Most of the effects on display look fantastic even by today’s standards, but there are some dated moments, most notably the stop-motion dog effects. Still the majority of the visuals are great, and the film even got an Oscar nod for best special effects. 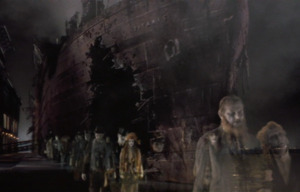 I also love how every Ghost featured in the film is a memorable character in of itself. We have the shocking library Ghost, the floating dream girl ghost, and of course the most iconic of all is the Slimmer. 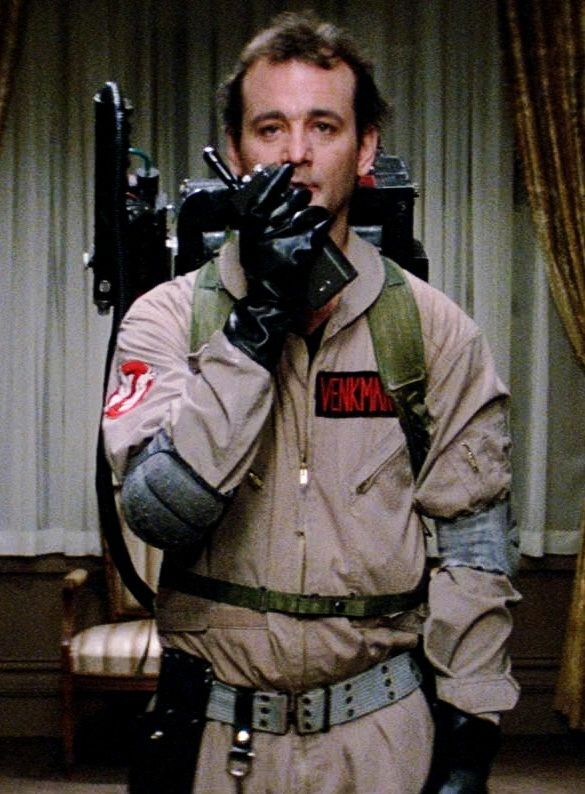 This Ghost was based on the late comedian John Belushi who was initially intended to play Dr. Venkman, but sadly passed away before filming got started. 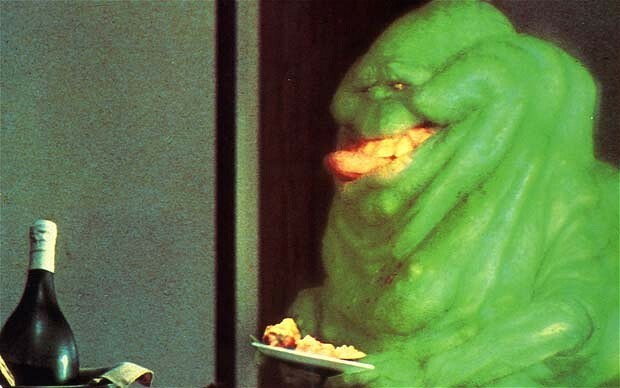 Thankfully his spirit lives on in the form of this famous green slimy mascot. These Ghosts also highlight how the film blends comedy and horror together into a perfect whole. 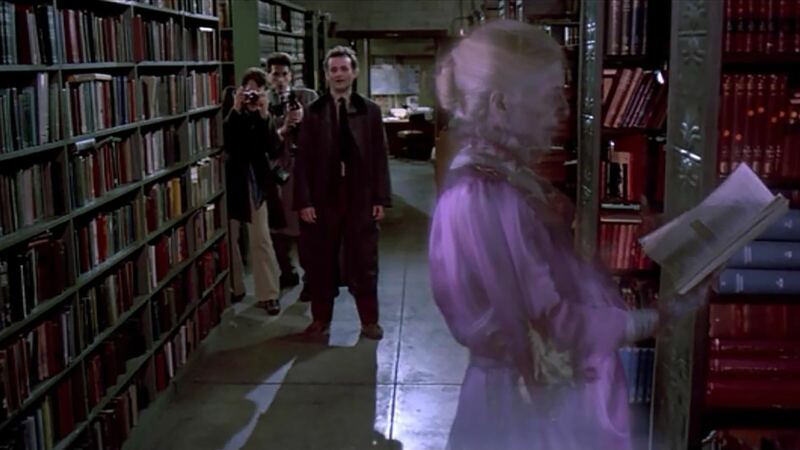 The Library Ghost for example had me laughing and jumping out of my skin at the same time. Perhaps the most famous scene of all is when Dr. Venkman is confronted by Slimmer who lunges at him with his mouth capping open, the music builds to something intense, and Ray is frantically running to help him only to find that ... “he slimed me.” It’s such a funny scene, but its Ray’s overly positive reaction that makes it so amusing. Now back when I was a little kid, even though I loved the film, I also considered it the scariest movie I’d ever seen at the time, which I find hilarious now. Obviously things are scarier to us as kids, but still there are lots of terrific spooky highlights. They may not be scary to us as adults but are still very amusing to look back on and say “wow, I remember when this was actually terrifying”. Now the movie dose still create an eerie atmosphere at times and has some terrific build-up, like in Danna Berretts apartment when her food mysteriously boils over on the counter just before that spooky apparition appears in her fridge. I especially love the mood and atmosphere of the opening scene, in which a librarian is scared by a ghost that doesn’t even appear on screen. Right from the first shot of the New York Library with those giant Lion Statues and the ominous music building-up it sets the tone perfectly. Another scene that was memorable for scaring us kids is when Danna Berrett is attacked by those demonic Zuul dogs in her apartment. The scene itself is very effective but one thing that always distracted me were all those different monster hands popping out of her chair, seriously what were those things? Those hands clearly didn’t belong to either of the two dogs that came to life, or maybe they were just mentally conjured up by the dogs ... who knows? 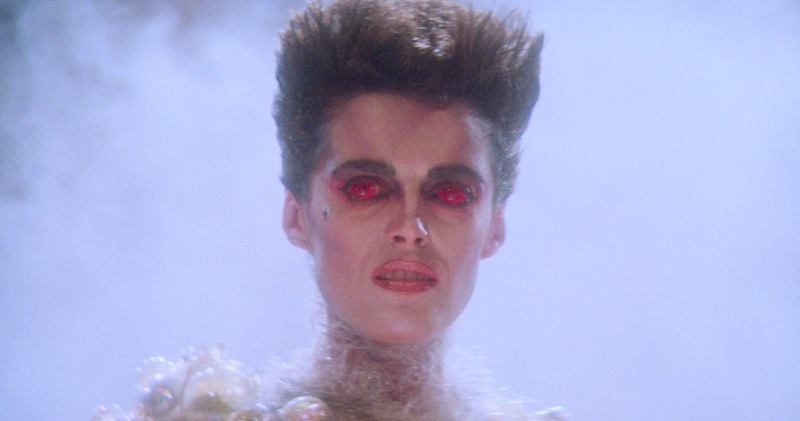 Now I will say that the following scene in which we see Danna Berrett possessed by Zuul was actually quiet disturbing and personally I found it to be the scariest part of the whole movie. While Bill Murray in this scene is funny, it’s still a creepy concept to see Danna with those shadowy eyes, cultish red dress, making snarling sounds, floating above her bed, and of course that lovely singing voice of hers ... “There is no Danna, only Zuul”, that scared the hell out of me. 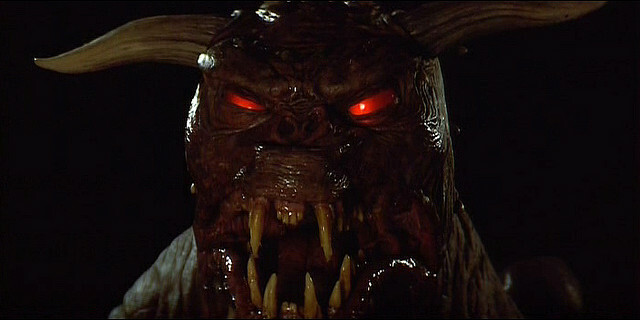 Let’s talk a little more about the two Zuul dogs because they were another terrifying highlight of the film. At the time of my first viewing, I was really into the “Gargoyles” TV show on Disney channel, so seeing those two statue dogs come to life as monsters really elevated the excitement of the film. Whenever they were on screen I was thrilled, but when the movie ended they started creeping into my nightmares. 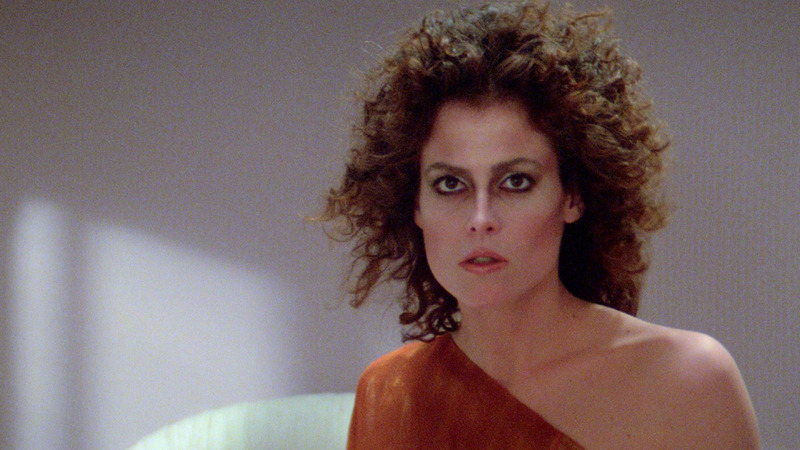 I distinctly remember being a kid and waking up in sweat after having a bad dream in which one of the Zuul dogs chased me to a dinner that wouldn’t let me in, just like the scene in the film. 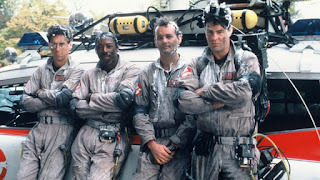 Aside from all the memorable scenes and quotable lines, I still think the films longest lasting gift on our pop culture is the theme song written and performed by Ray Parker Jr ... “now who you gonna call?” To this day, the Ghostbusters theme song is still catchy as hell, and has become a staple for Halloween parties. This catchy tune rightfully got an Oscar nomination for best original song, but lost to Stevie Wonders “I Just Called to Say I Love You” from the movie “The Woman in Red”, which was also a very good song but I don’t think anyone actually remembers it. I do regrettably have one minor nitpick with the use of the theme song. Mid-way through the movie we get a montage set to this song in which our hero’s are taking care of business, but we never actually see any ghosts on screen, with the exception of the one Dream Girl Ghost. What a missed opportunity to show off some really cool creatures and ghost designs during a montage set to this awesome song. 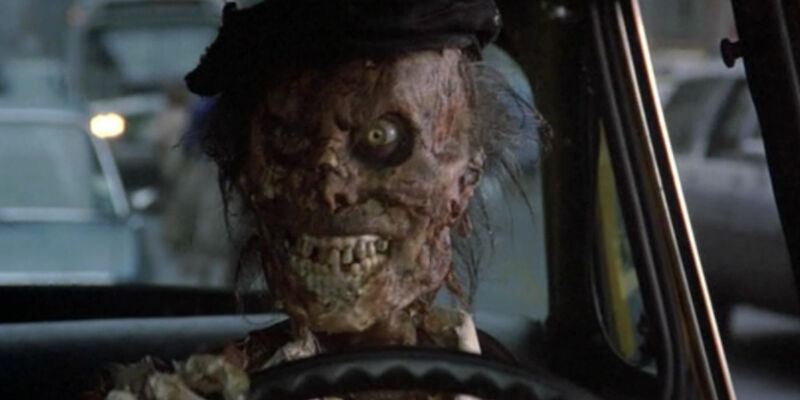 We do at least get a montage later in the film set to the song “I Believe it’s Magic” in which all the Ghosts are set loose on the city, and we get some cool visuals, most notably a taxi driver that’s turned into a zombie. The music score composed by Elmer Bernstein is equally memorable and gives the film a lot of character. Personally my favorite tune isn’t the classic Theme song or the score, but actually the song “Saving the Day” performed by Alessi. This song just gets me hyped for the climax to come, and it further highlights the Ghostbusters as a team of superhero’s in their own right. Now let’s talk about the climax, which is something of a mixed blessing. 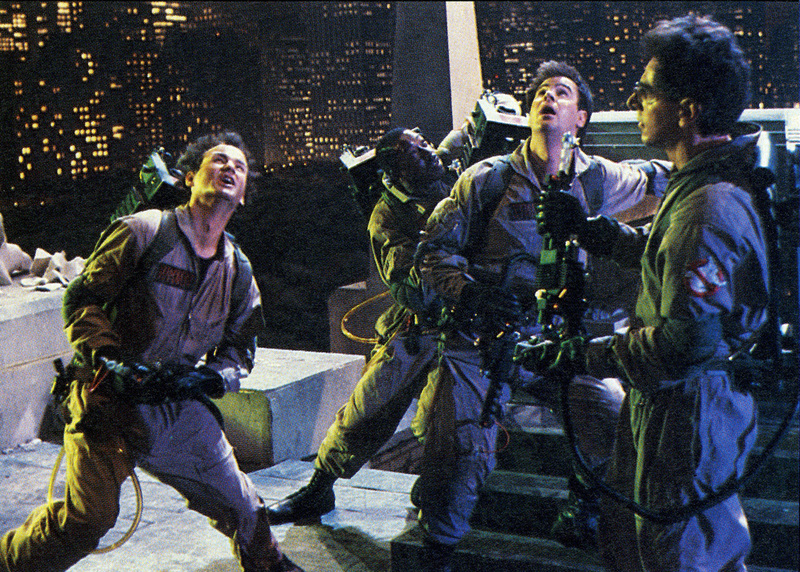 After some great buildup, as well as very funny joke in which the Ghostbusters are slowed down by a flight of stairs, our hero’s finally find themselves on the roof of the haunted apartment building where they face Gozer. It’s unfortunately not much of a fight, the two demonic dogs only stand in the background the whole time and everything is resolved in an anticlimactic end as the team simply blasts the gateway and blows it up. Personally, I always wanted the finale to involve all the ghosts that previously escaped, they could be flying around the roof with our team blasting at them, the dogs could get in on the action and it could have been an awesome may-lay. Having said that, I’m perfectly whiling to ignore all those short comings in favor of what actually does appear on screen, that of course being the giant Stay Puff Marshmallow Man that attacks the city. 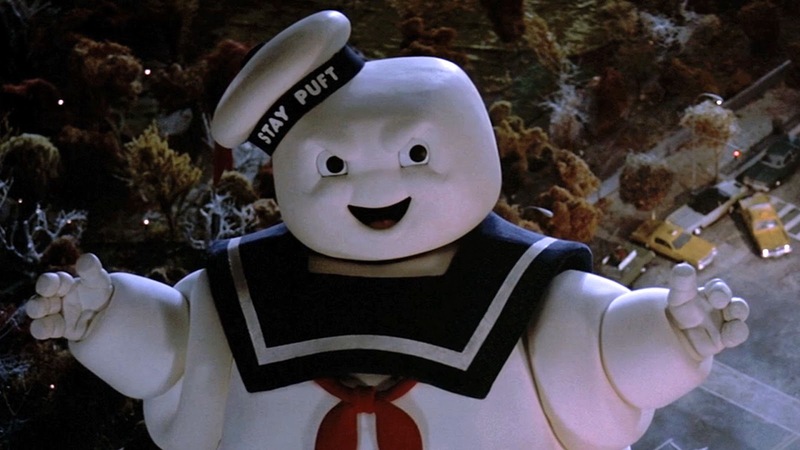 As a kid, I loved giant monsters and of all them Mr. Stay Puff was my favorite by far. 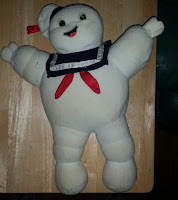 I loved the Stay Puff Marshmallow Man so much that I actually had a fuzzy teddy bear sized Stay Puff doll that I slept with as a kid. While other kids were cuddling up with their Winnie the Pooh dolls, I had Stay Puff to bring me comfort. I’ve heard from some people, including many of my close friends that they were actually terrified of Stay Puff, but I was six years old and I couldn’t get enough of him. 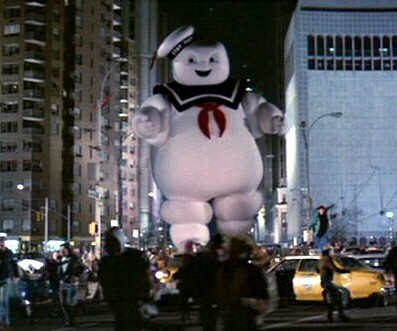 To this day he’s still one of my all time favorite movie monsters, and there’s just something very amusing about a giant mascot that comes to life to attack a city. 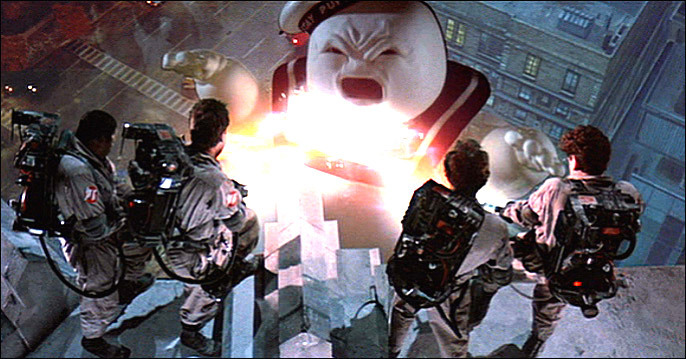 Now without going into a full review, I do quickly want to comment on the 1989 sequel “Ghostbusters 2”. This was a tired re-tread of the original, but it wasn’t completely terrible either. The cast was still just as charismatic as ever, and there’s still plenty of fun new spooky highlights, some of which are actually better then what we got in the first film. There’s an underground Ghost train, a monster emerging from a bathtub, and a spooky painting that brings to life a monstrous new villain. There’s yet another great montage in which the ghosts are all set loose on the city, and features some awesome looking creatures including a giant monster, a woman’s fur coat that comes to life and even the Titanic comes back with it's dead crew. The best spooky highlight of all is this ghostly Nanny that kidnaps the baby of Sigourney Weaver’s character Dana Barrett. This scene pays homage to the Wicked Witch of the West, right down to a similar music score, and it’s just a memorable creepy image, especially with the glowing red eyes. In short it wasn’t a mandatory sequel but it’s harmless and has its memorable moments. The first movie really was like catching lightning in a bottle, it was a special achievement that can never be duplicated and I’m very glad it didn’t exhaust itself with bad sequels. 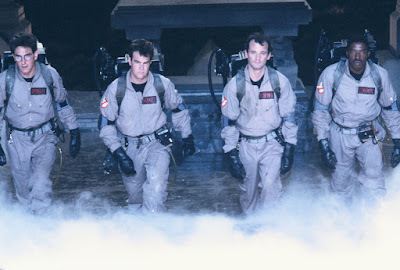 Throughout the turn of the century, I’ve noticed countless movies trying to recapture that same magic spark of “Ghost Busters”, but with mixed results. Several family movies from the 90’s like 1995’s “Casper”, and 1997’s “Flobber” all seemed to take some inspiration from this movie, in fact one of the Ghostbusters (Ray played again by Dan Aykroyd) makes a cameo in “Casper”. The real contender to “Ghostbusters” was a 1997 Sci-Fi blockbuster called “Men in Black”, which had a similar tone, charismatic leads and blended multiple genera’s together to make something fun and original. In many respects “Men in Black” was the modern day “Ghostbusters”, although I personally like the former over the ladder. Over the years, “Ghostbusters” has aged remarkably well, it gets funnier every time I watch it, and is something I watch yearly around Halloween, but it also makes for good summer movie popcorn entertainment. It’s a movie that blends horror, comedy and Sci-Fi into a seamless whole creating something unique and special in the process. 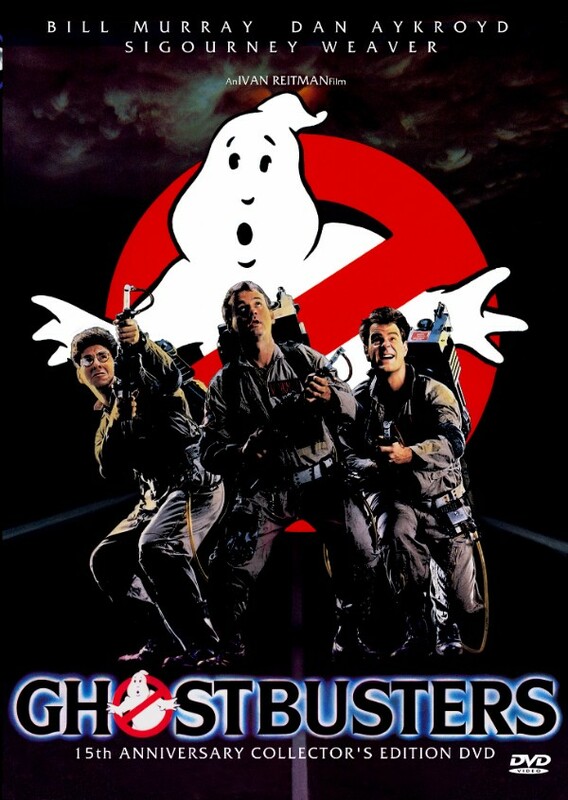 I give “Ghostbusters” 4 stars out of 5.
and I give “Ghostbusters 2” 2 ½ stars out of 5. And don't forget ... "Busting Makes me Feel Good!"